IdeaSpace Philippines is a non-profit organization that provides incubation and acceleration programs for startups. Believing in the potential of technopreneurship, or combining entrepreneurial skills and technology, the organization has incubated and funded 52 startups since 2012. These include active industry players such as PinoyTravel, TimeFree Innovations, and FrontLearners, Inc.
IdeaSpace, a member of the Israel Chamber of Commerce of the Philippines (ICCP), receives support from companies like First Pacific, Metro Pacific Investments Corporation, Metro Pacific Tollways Corporation, MPIC Hospital Group, PLDT and ePLDT. Meralco, Smart Communications, Digitel, Sun Cellular, SPI Global, Indofood, Philex Mining, Maynilad, MediaQuest, and TV5 also help the organization. 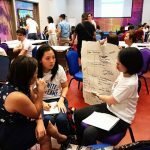 IdeaSpace collaborates with universities, startup communities, and local organizations to conduct events where it mentors aspiring entrepreneurs. It motivates them to transform their ideas into practical ventures for implementation. IdeaSpace helps develop projects and ventures in partnership with the industry, academe and government partners by helping the local startup scene grow their ecosystem. IdeaSpace holds an annual startup competition for aspiring entrepreneurs all over the Philippines. 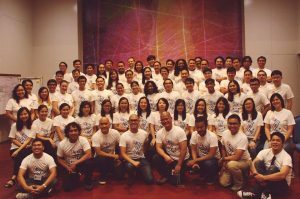 The organization sends the winning startups to a six-month acceleration program and provides them with a seed fund of at least PHP1 million. The startups also get an office space, ample training, and services. 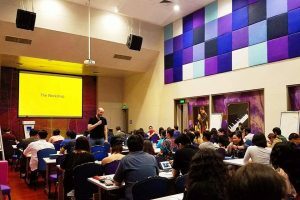 Startups that successfully finish the program are eligible for a follow-through funding of up to PHP5 million, depending on their performance. Do you have a startup idea and want to get the ball rolling into making it a full-fledged business? Visit the website of IdeaSpace for more information. You can also email [email protected] or visit their office at 4F, Philcox Building, 172 Salcedo Street, Makati City.